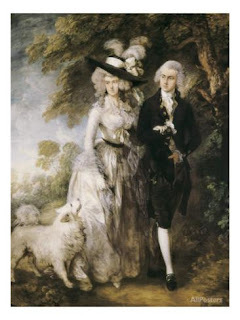 Since he lived and worked near where I spent a large part of my early life, I have a rather personal interest in Thos Gainsborough's works (UK: Man charged over screwdriver scratch attack on Gainsborough painting at National Gallery). Let the screwdriver heritage hooligan hope his paths never cross mine (update: named as Keith Gregory, 63, of no fixed abode). Vignette: the conundrum of providing free access to art. US State Department in Meltdown Under Trump? Do You Get to Keep What You Find? Egypt Should Flog off the Past? "Ancient book stolen in Syria seized in Turkey"